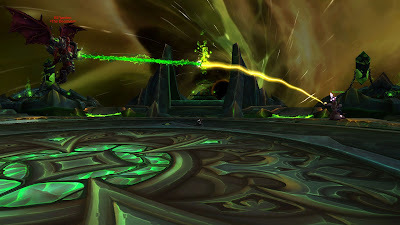 Ten Months it has been, Innovation just downed Gul'Dan, and we where ready for the next challenge. But that was ten Months ago.. so where have I been, what happened to blogging? The answer is that I got a little bit tired of it all. After we downed Gul'Dan I basically stopped doing WQ's, stopped gathering Artifact Power... even alting was not something I wanted to do. 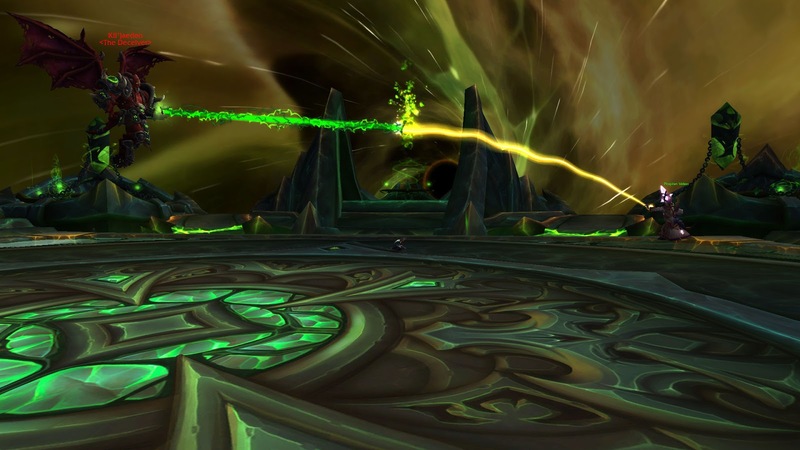 Hoping for good artifacts, more AP-farming, more WQ's... I just felt bored with it. Not that I stopped playing. I still did the mission-table, I still raided, Innovation is now wiping on Coven, so I did play, but nothing else made me play the game. Yes, I know, there a lot of things to do in WoW, but nothing really pulled me into play, except raiding. Well..not except raiding, I also levelled a lot of my characters to 110, mostly through invasions. And I levelled some new characters without the use of heirlooms to different levels. But for the most part, I went into a only-raid-modus. And play other games. Funny thing that Blizzards puts so much effort in keeping us playing Legion..and that it backfired with me. Never had this before, not even in the ICC-summer. So, no play means no blog, after playing, I just didn't wanted to do WoW, not play, not write. So why this blog? Well.. something happened last week... something with more characer slots on a realm. Which means I can level again on Argent Dawn, as a member of Innovation. So having a guildchat for my alts seems important. And I am levelling a Lightforged Paladin, while having a Void Elf Warlock as second toon ready. And playing means writing. -I do not like Mythic+ that much. I like to have a relaxed time while playing, and having a timer doesn't really help that feeling. -I do not think Tierset-bonus are a problem, I think Blizzard made them a problem with adding an extra piece and having sooo much Legendaries, and are using that excuse to end them. Cinidaria... Getting a Legendary which is not really good is more disappointing than rewarding. -Arcano Crystals.... having a Trinket which is good for a tier or two is nice... but this trinket just... well.. is BiS till halfway Antorus...even when not Titanforged... Titanforged it just trumps all.. which makes it NOT dropping on a boss that only spawns every 8?? weeks is not only disappointing, but also frustrating... and still disappointing if it finally drops..and it is not Titanforged..
-Wax and Wane... So this artifact talent, which is the left one on the concordance-set, was very weak when it debuted. So the Boomkins said, can you change it, and you change it to do more damage, and the Boomkins say: If you change it like that.. we are going to Moonfire-spam down the line... and you then nerf it because we are MF-spamming down the line... well.. maybe listen better? 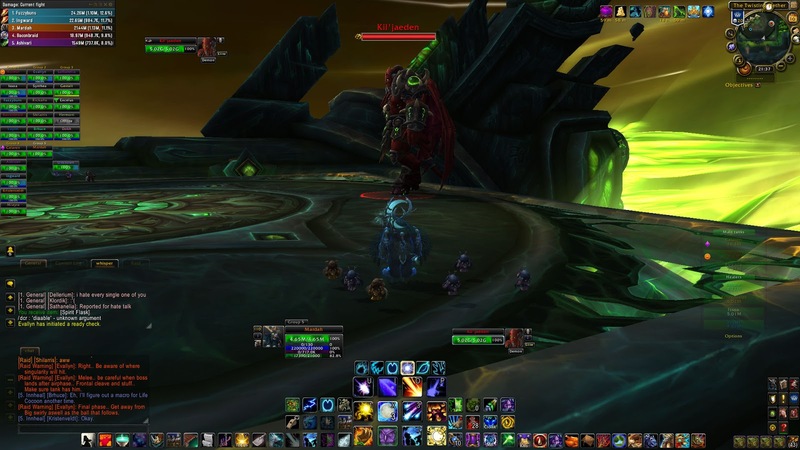 -Antorus is an interesting raid.. atm I have 4 different gear-sets for Balance... I even started to use a new legendary for Coven I never used before..more Moons! -I like the new levelling-system, I do sometimes have problems with quests still being level-dependant.